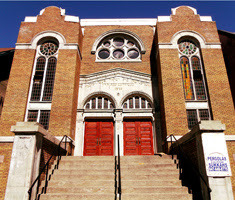 Stroll through old Jewish Spadina and visit sukkot at historic Kensington synagogues. Along the way, stop at the sites of shmata stores, kosher butchers, the original Shopsy’s, Yiddish theater, and union headquarters. Meet at the MNjcc and bring TTC fare.